Winter sports are fast ending with intense playoffs on the horizon, which means spring sports are soon to delve into their homestretch. 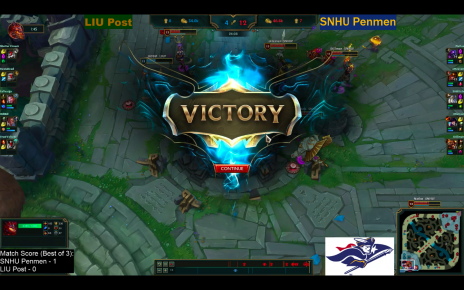 Spring sports at SNHU are Men’s and Women’s Lacrosse, Baseball, Softball and Men’s Tennis. With aspirations of success and even division championships, the teams are off to a good start to make these goals a reality. The Women’s Lacrosse team is readier than ever to take on another season. With the goal to make playoffs driving the team, they are coming in focused, driven, fit and ambitious. This year, the team has a large roster of 31, and 11 of which are freshmen. While preseason was focused on developing positional IQ and techniques, now it’s about preparation. The team fosters incredible talent and drive, which will put them as a formidable competitor in the NE10 conference. As of February 28, Women’s Lacrosse is 0-1. 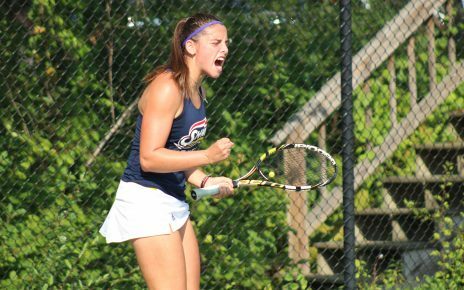 They lost their season opener to Franklin Pierce 18-12 on February 27, but they are ready to bounce back. They open their home slate Saturday, March 9 (1 p.m.) when they play host to Dominican (N.Y.) College. The Men’s Lacrosse team is also eyeing playoffs and a possible conference championship. Although last year the team ended with an overall record of 5-9, they are ready to pick it up with a group of talented athletes. With a powerful offense and a solid defense, Men’s Lacrosse is focused and ready to make noise within the conference. The team has a motto of “be better today than we were yesterday,” as Calkins explained, which drives and motivates the team to have a strong season. As of February 25, they hold a 1-1 record, losing their first game against Georgian Court, but bouncing back to win their second game against Molloy. Men’s Tennis is hoping to repeat their accomplishments of last season with another NE10 Conference Championship. They also aspire to reach the NCAA’s round of elite eight in the East Conference. The Penmen won the NE10 Conference Championship for the third consecutive year last year, and according to Coach Gregory Coache, it will not be the last. 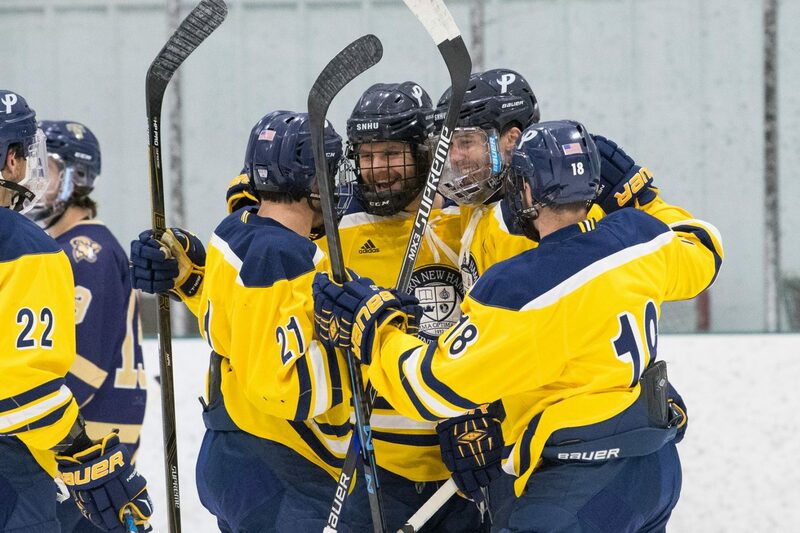 They also made SNHU history by earning a spot in the round of 32 in the NCAA’s last season, which has never been achieved before in program history. With a strong recruiting class and even stronger unity among the team, Men’s Tennis is more determined than ever to earn their fourth consecutive NE10 title. Also returning strong is the Softball Team. Last year, they made appearances both at the NE10 semifinals and the NCAA East Regional Conference. This year, they are returning seven starters and bringing in seven freshmen. With a deep bench, line-ups can be expected to switch up often. One of their strongest suits is their pitching. The softball team aspires to win a conference championship this year and make it to NCAA regionals. They hold a 5-1 overall record, as of February 25, winning five out of six games in South Carolina. Last, but certainly not least, is the baseball team. With the accomplishment of earning the NCAA East Regional Title last season, the team has high hopes entering this season. Although, they will be moving forward and giving little thought to their achievements of last year. The motivation and competitiveness that allowed for success last season will also be a key factor this year. Every player is held accountable for their attitudes and work ethic, which reflects on how they play on the field. In addition to season goals, such as winning games or having another opportunity to play at conference or NCAA level, the team also has off the field goals. These include doing well academically, giving back to the community and being great teammates. “If we can keep our priorities in check, we should be successful on the field,” said Loiseau. Although it’s still early in the season, The Baseball Team has already competed in eight games. They first traveled to California where they won one out of two games. Then traveled down to South Carolina where they captured all five of their games. This brings their overall record to 6-2. The NE10 has even taken notice of the tremendous efforts of the Baseball Team. In fact, they recognized senior Jake Walkinshaw as Pitcher of the Week for the period ending February 24. Walkinshaw started the 5-0 week in South Carolina out on the right foot, firing eight-and-a-third innings of shutout baseball, scattering five hits, while striking out seven and walking two during a 2-0 shutout of Long Island University-LIU Post. Walkinshaw earned the win and held the Pioneers to just a .192 batting average. Through two starts, Walkinshaw is 1-0 with a 3.09 ERA, after allowing four runs on 11 hits in 11-and-two-thirds innings, while striking out 10 and walking five. 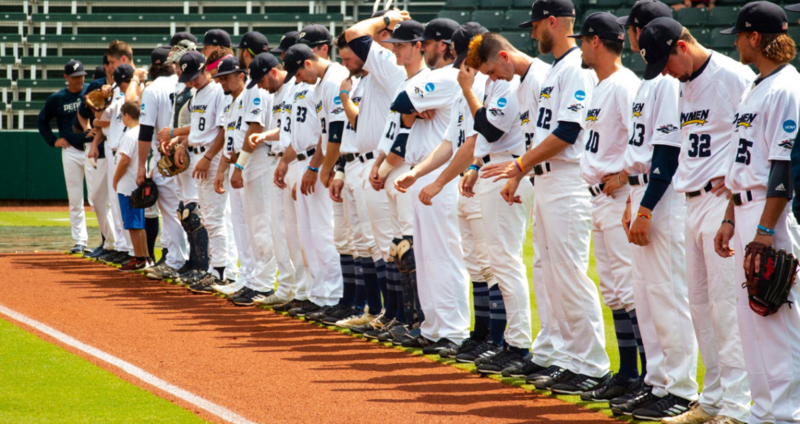 Game schedules and more information can be found on snhupenmen.com. Be sure to come out and support the Penmen this spring!